Mr. Ansbacher is a loan officer who specializes in loan origination and underwriting for PSG Lending. 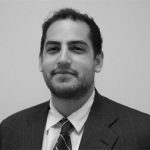 Mr. Ansbacher’s prior experiences include work as a paralegal for Rosenberg & Clark, LLC, a real estate law firm specializing in cell tower lease negotiations, and work for the BP settlement fund as a claims analyst. Mr. Ansbacher holds a B.S. in Finance at Tulane University, New Orleans, Louisiana.